"A popular, classic open source, cross-platform audio editor." 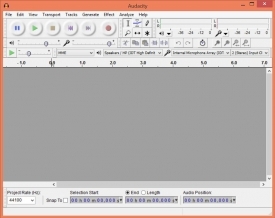 Audacity is one of the most popular cross platform, open source audio editors. It has a classic, in studio look and feel to it which is quite attractive to many of it's users. And it is packed with several recording, editing, and enhancement features. Audacity can record live audio through a variety of different inputs, including, but not limited to, microphones, mixers, recordings from records, CDs, record tapes, and minidiscs. Some sound cards - depends on your system - can be used by Audacity to record streaming audio as well. Manage multiple input and output devices and monitor volume levels before, during, and after recording audio. Dub over existing tracks in order to create multitrack recordings or import audio and combine it with other files or new recordings. 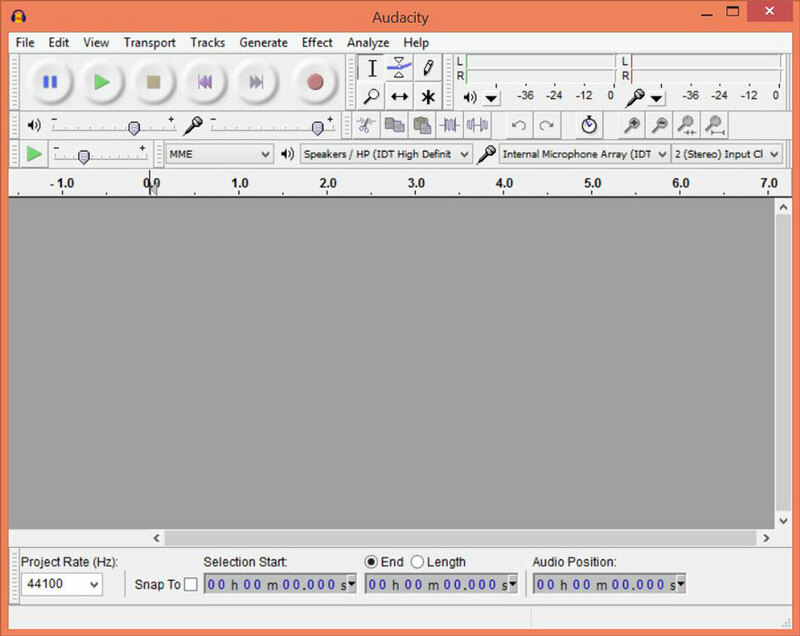 Audacity can import from almost any audio filetype. Sound quality from Audacity is great as it supports 16, 24, and 32bit floating point samples which are converted using high quality resampling and dithering. And files with with different formats or sample rates are converted in real time automatically. Audacity's editing capabilities include, but are not limited to: Cut, Copy, and Paste, unlimited sequential undo and redo buttons - if you make a mistake, you can always go back, edit and mix large track file sizes with multiple clips allowed per track, and, my personal favorite, automatic crash recovery in the event of an improper or sudden close of the application. Audacity's effects library is packing heat as well; as the application includes several built-in, general quick effects and the ability to change the tempo of a track without affecting the pitch.